When our animal companions become ill or immobile with old age, it may be time to provide them with a peaceful goodbye through the use of euthanasia. While no one likes to think about having to put their four-legged friend down, if your pet seems incapable of truly enjoying life, it may be the best option for them. 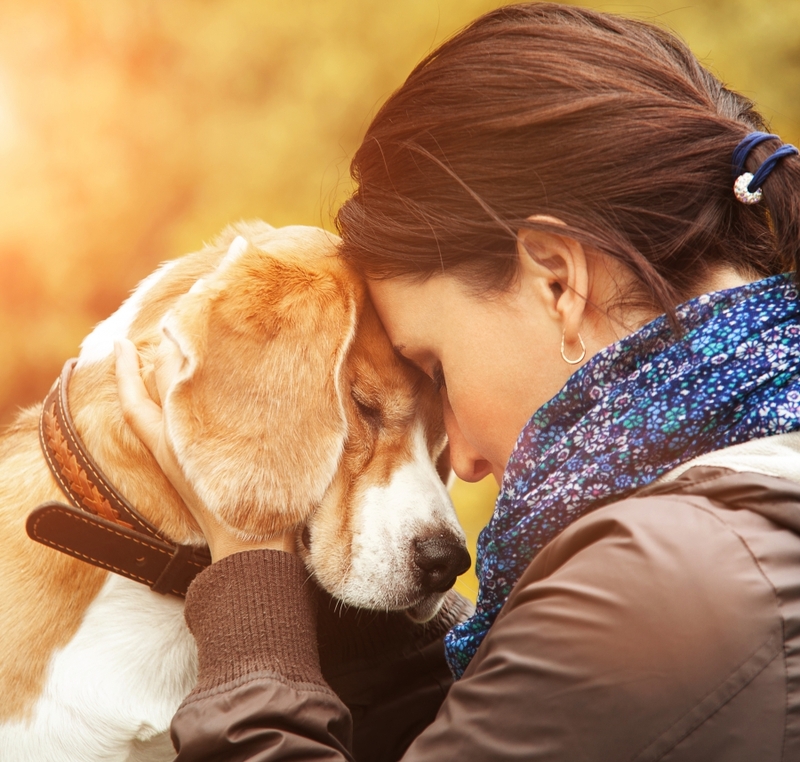 At 911 Vets® in Los Angeles, we understand that the decision to euthanize your pet can be one of the most difficult choices a family has to make. Whether your cat has been diagnosed with a terminal illness or your dog is simply getting too old to walk and play like he or she used to, there are many factors to consider before you say goodbye to your pet. Our full staff of veterinarians offers in-home pet euthanasia for animals that are too scared or nervous to travel. We also offer clinic services and emergency house calls for those times when Fido gets into the garbage or chocolate box. If you’re interested in learning more about our veterinary services, contact us today. 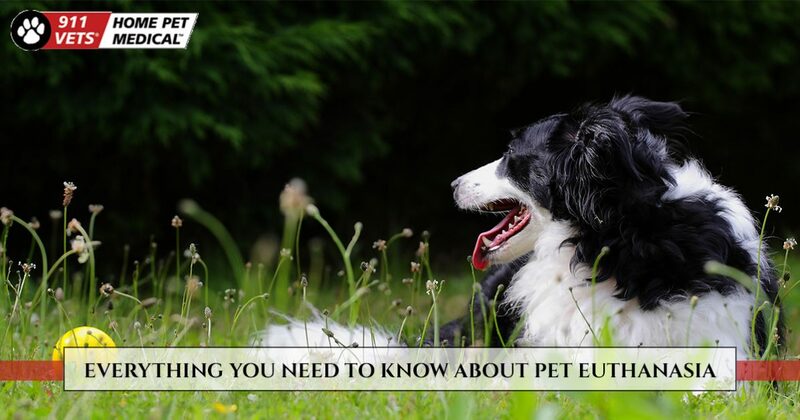 Pet euthanasia is the process whereby an animal is deliberately put down, often by a veterinarian or another animal industry professional, for reasons of humane relief of suffering. Euthanasia may also be used to put down an animal with uncontrollable behavioral defects such as aggression, as well as a means of population and disease control. During the process of euthanasia, the animal patient is typically injected with a chemical substance called pentobarbitone. This unique chemical essentially acts as a severe overdose of veterinary anaesthetic. As it enters the animal’s bloodstream, it will slowly suppress the function of the animal’s heart and brain. This can cause an instant, painless loss of consciousness, immediately stopping the animal’s heart and brain, resulting in death while the animal is asleep. This is where the term “put to sleep” comes from in the veterinary world, as the animal peacefully and instantly falls asleep and passes on to the next life. Your pet is experiencing chronic pain that cannot be controlled with medication (your local veterinarian will be able to tell you if your pet is in pain). Your pet vomits frequently or has constant diarrhea that is causing them to become severely dehydrated or they are losing weight quickly. Your pet has stopped eating and will only consume food if you force feed him or her. They have lost interest in partaking in all or most of their favorite activities like going for a walk, playing with toys, and eating treats. Your pet cannot stand on his or her own and falls when trying to walk. 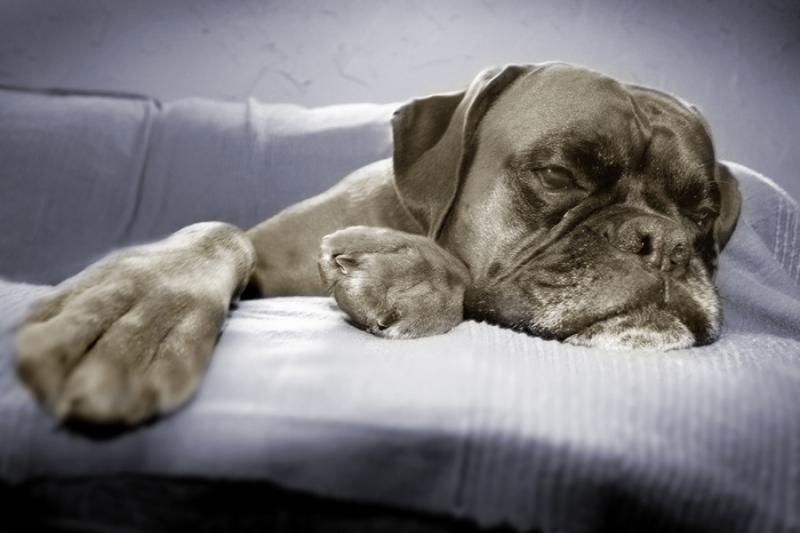 Your pet is suffering from chronic, labored breathing or coughing. Making the decision to euthanize your pet can be extremely stressful, and the anxiety you’re feeling will likely be exacerbated if you don’t know what to expect during the veterinary procedure. Here are a few things you should know before you bring your pet to the vet or call an in-home euthanasia service. When you meet with your veterinarian for pet euthanasia, your vet will take the time to explain the procedure to you before they get started. Small- to medium-sized pets are often placed on a table for the euthanasia procedure, while larger dogs are more likely to be handled on the floor. Regardless of where in the office your pet will be euthanized, make sure they have a comfortable blanket or bed to lie on. In most euthanasia cases, a trained veterinarian technician will hold your pet throughout the procedure. If you plan to be present during the euthanasia, make sure you allow enough space for the veterinarian and technician to do their work. When you’ve had a chance to say your last goodbye, your veterinarian will give your pet an overdose of pentobarbital, which will quickly cause your pet to fall unconscious and gently stop their heartbeat. Your veterinarian will use a stethoscope to confirm that your pet’s heart has stopped. Once your vet has confirmed that your pet has passed, he or she will likely ask you if you would like a few final minutes alone with your pet. If you need veterinary assistance with your pet, call the certified veterinarians at 911 Vets® today.